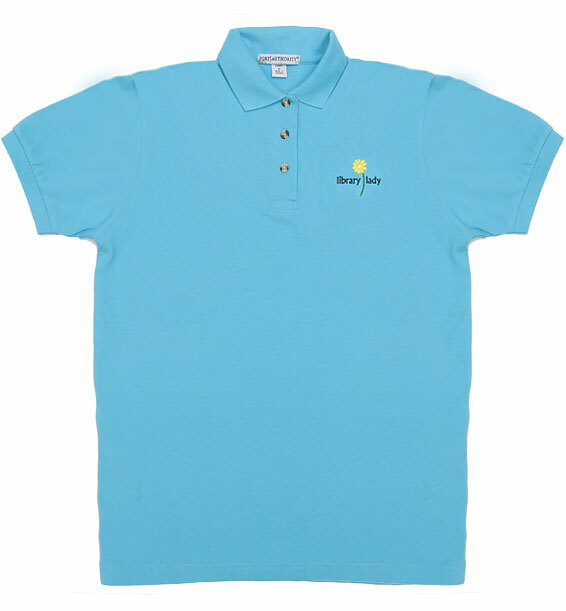 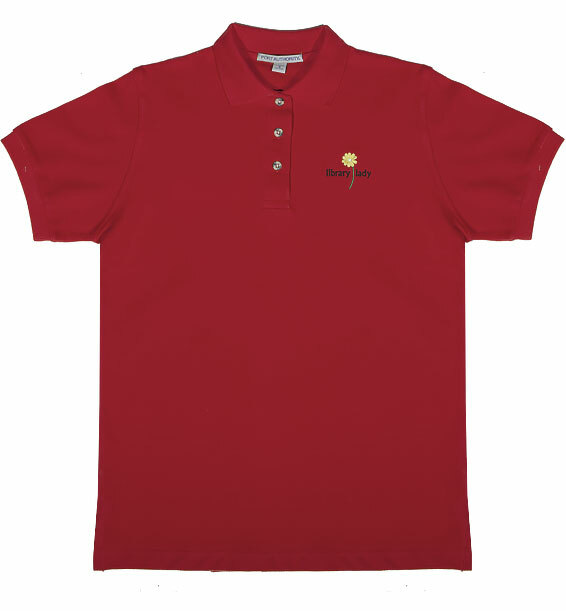 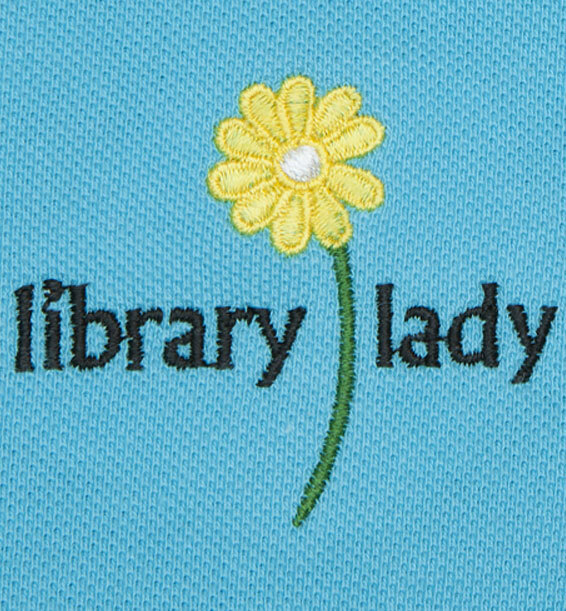 Classic “Library Lady” embroidered design on short sleeve polo. 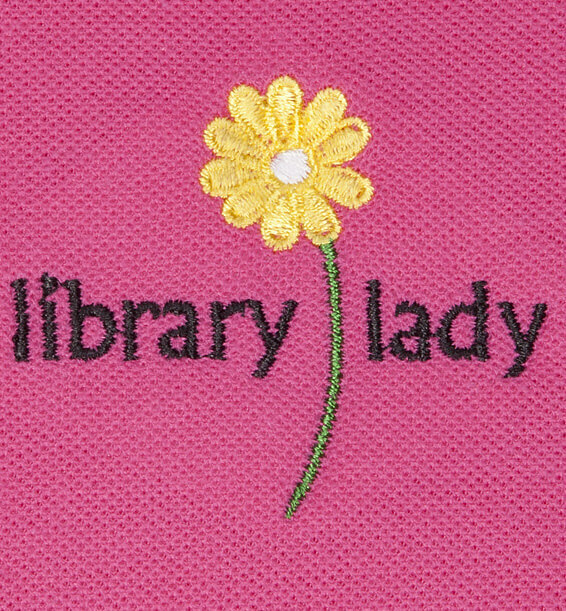 Cute ladies polo with librarian, books and flowers embroidery. 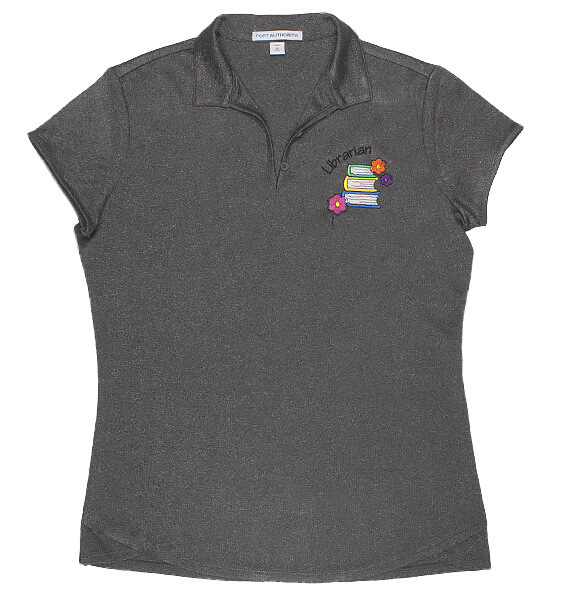 Cute ladies heathered polo with daisy read embroidery. 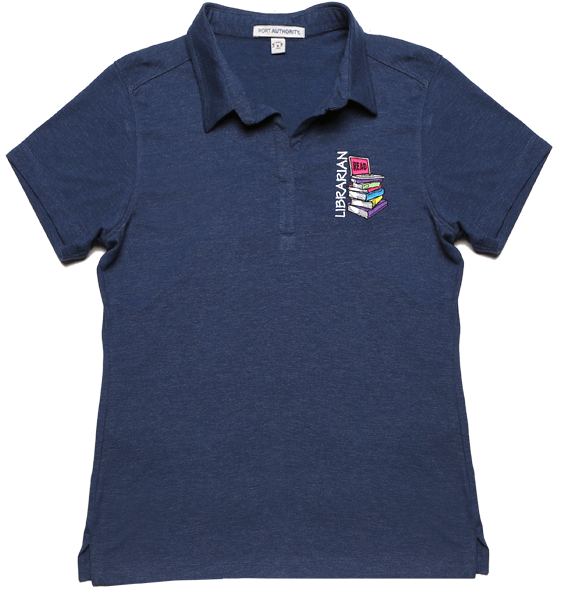 Heathered Navy Ladies Y-Neckline with Librarian, Books, Laptop Design Embroidered (Front), Inverted Pleat (Back). 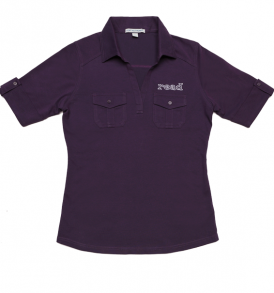 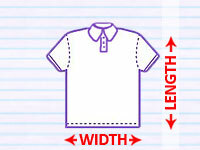 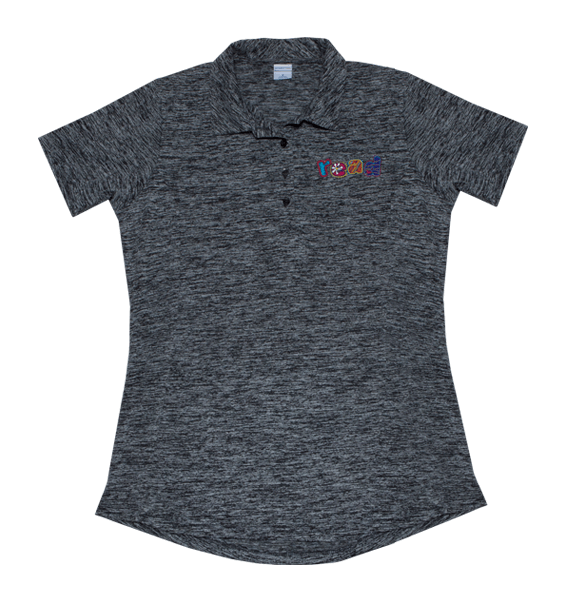 Ladies 3/4 sleeve polo with standing collar and 5 button pocket and back center inverted pleat. 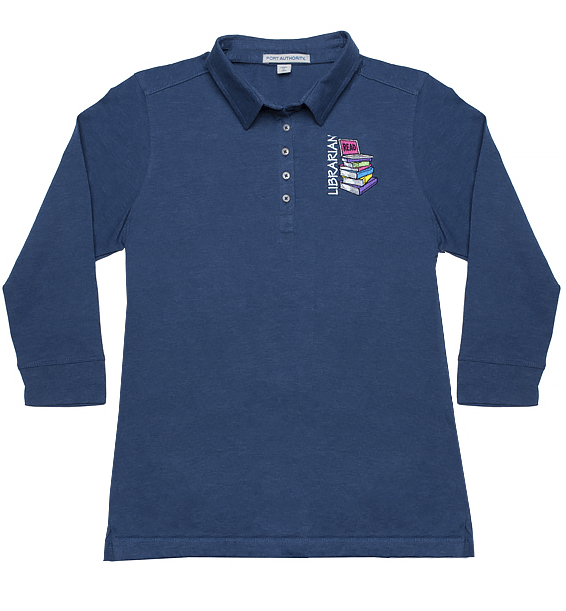 Ladies Oxford Pique Double Pocket Polo with Cuffed Sleeves and Decorative Button Tabs. 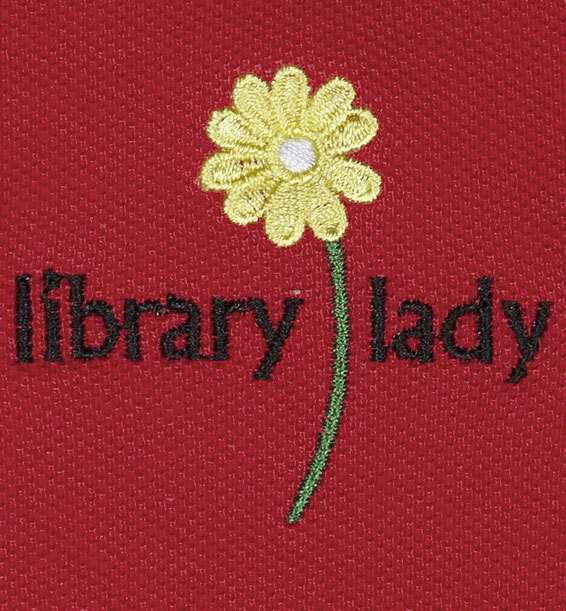 White “READ” embroidered on front.